« “Forgotten Hollywood”- Shirley Jones Tells All in New Book! 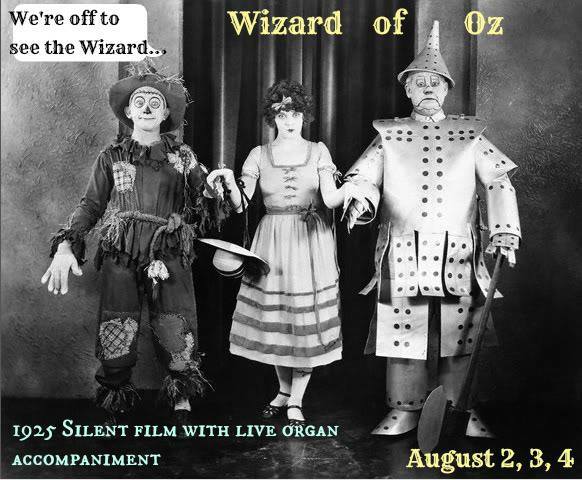 The Old Town Music Hall in El Segundo, CA (the home of the mighty Wurlitzer pipe organ) will be presenting the 1925 version of The Wizard of Oz this upcoming weekend to kick off its August weekend lineup. Although the later 1939 version with Judy Garland is considered by most to be the definitive version, this silent feature film is truly fascinating to see — and has plenty more laughs! 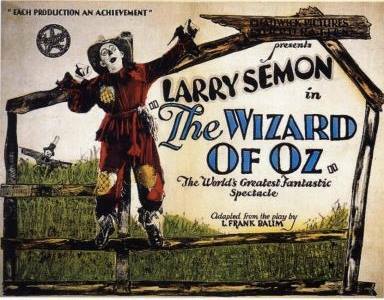 Popular silent movie star Larry Semon literally sold the ranch to secure motion picture rights to L. Frank Baum’s The Wizard of Oz, and then ended up revising most of Baum’s story to favor his broad slapstick comedy antics. Dorothy is played by Dorothy Dwan – aka Mrs. Larry Semon. Also featured in this version is Oliver Hardy. The chance to see the origins of the young iconic comedian is alone a good enough reason to see this flick! Since 1968, Old Town Music Hall has been showing vintage silent and sound films. The Southern California landmark is a 501(c)(3) non-profit organization. Your generous support enables us to preserve the golden era of feature film and music. This entry was posted on Monday, July 29th, 2013 at 1:32 am	and is filed under Blog by Manny Pacheco. You can follow any comments to this post through the RSS 2.0 feed. Responses are currently closed, but you can trackback from your own site.